Medical gout treatments include non-steroidal anti-inflammatory medications, corticosteroids, and colchicine. Of more concern should be the side effects. Considering that water cures has few if any, this should be of concern to any who suffer from gout. The medical establishment treats diseases like gout as if they are conditions where our bodies are depleted of chemicals. Give us more chemicals and we can eliminate or manage the disease. For instance, when long term diuretics use causes gout, according to the American Heart Association, adding other treatments can help manage the gout. What this means is that if the side effect of the prescribed drug bothers you, it can be fixed with another drug. Gastrointestinal (GI) risks include ulcer perforation, upper GI bleeding, and death, It is estimated that between 10-20% of NSAID patients get dyspepsia (indigestion or upset stomach). It has been estimated that 42% of NSAIDs prescriptions were unnecessary. 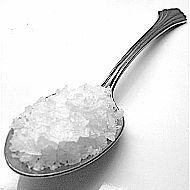 Water Cures Works: Water and unprocessed salt alone or in combination with other dietary changes to help prevent or treat polyarticular gout. 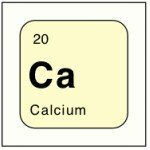 Additionally, the megadose vitamin C protocol may cause gout like pain. There is medical research showing that although rare, high doses of vitamin C may result in gout pain. There is a simple solution for this. Simply add more magnesium bicarbonate into your daily hydration routine and the pain will go away. Click on the Magnesium Bicarb Recipe link for how to make it. NSAIDs interact with other medications. NSAIDs used with quinolone can increase the risk of adverse central nervous system side effects including seizure. COX 2 Inhibitors (the newer ones) if used with NSAID's may increase the risk of death from heart attack and brain attack (stroke). NSAIDs use has been associated with doubling the risk of heart failure in those who have no history of heart disease. For those with a history of heart disease, NSAID use was associated with a 10-fold increase in heart failure. Note that this is an association and not a cause. Water Cures Works with out the side effects. 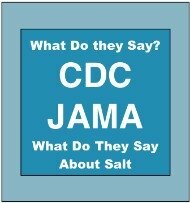 Failure to include the salt with the water cures and drinking excessive water could result in sever health problems and even death. Unless kidney disease is present, water cures helps reduce the risk of heart attack with out any of the above side effects. Sometimes gout treatments have side effects that affect the quality of life and not necessarily our health. This is true of this gout treatment. One long term study in 2005 found a connection with NSAIDs (ibuprofen is one) with an increased risk of erectile dysfunction beyond what would be normal. This study was published in Journal of Urology. Water Cures Works and can both decrease inflammation and improve sexual performance, even eliminating ED for some. 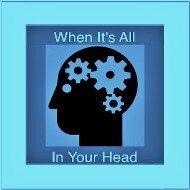 The difference in using water cures for polyarticular gout, no side effects, unless feeling better is a side effect. Gastrointestinal adverse reactions from NSAID use results in irritation of the gastrointestinal lining. This is because more acid is being created and there is reduced bicarbonate production, the thing that neutralizes the acid in the stomach. This can result in nausea, vomiting, dyspepsia, gastric ulcers, bleeding and diarrhea. Adverse effects can be reduced by giving another drug, which has yet more side effects. Water Cures Works by helping the body balance both acid and bicarbonate to where they are supposed to be. Additionally, it reduces inflammation and helps eliminate pain. NSAIDs are associated with a number of adverse effects to the kidneys. The two most important to note are salt and fluid retention and High Blood Pressure. You are also at risk of kidney failure if you are taking an ACE inhibitor and s diuretic at the same time your take a NSAID. When we cannot get relief from NSAID' or Colchicine or if it is not possible to take these, then steroids are used. Steroids are often only used for short time periods due to their side effects. 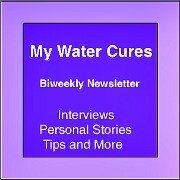 What are the side effects of Water Cures? Unless you inhale the water (which can cause sudden death), there are no or few side effects of the water cure. It does not work for everyone. It does work for most. Water Cures works. It is simple, easy and inexpensive. Why not try it today. Please share your experience with others. 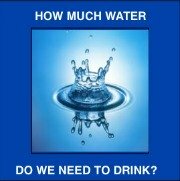 Water Cures should be the first gout treatment we try. 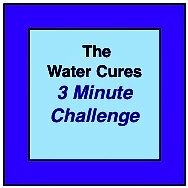 Go to the Water Cures Protocol and try it for your self as one of the natural gout treatments. It's easy, simple and inexpensive. All it costs is the price of some salt and some water. 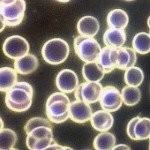 Info on how boosting Glutathione can help end gout.